Meet Baby, she came in with her young companion Trixie. Her dad passed away two weeks before Christmas and her grandmother could not take care of her. 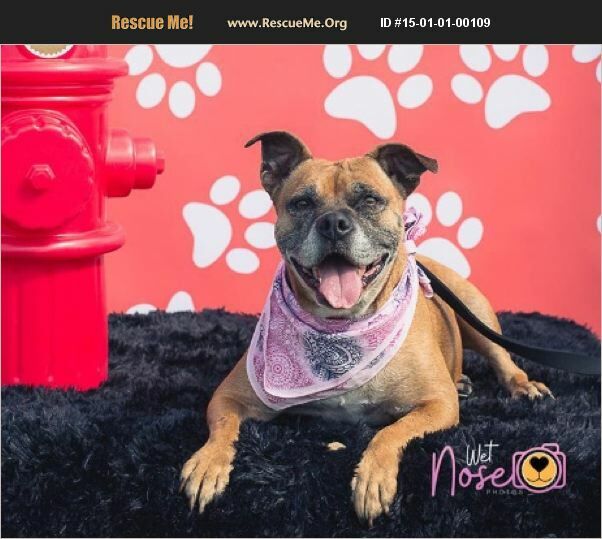 Baby is female Pit mix about 9 years old. She is very small in stature, a little below my knee. She is very sweet and loves attention. She will lick your entire face if your not careful ��%BD��%BD%BD��%BD��%BD%BD��%BD��%BD%BD She loves people and gets along with all the dogs here. If interested in adopting Baby, email us at mmadoptions@gmail.com for an application.